Fusionex’s new VP of New Technologies, Raju Chellam, has taken on a role that has oversight of ABCD, or Analytics and AI, Big Data and Business Intelligence, Cloud & Community and Data Centre & Data Lakes. These are just some of the cutting-edge technologies that are impacting industries in ever-growing ways today, like never before. For example, big data and analytics (BDA), sees a demand rise for data scientists, causing local agencies and institutes of higher learning, along with technology players, to take serious steps in ensuring a steady pipeline of future data scientists. “The main tech trends are ABCD, and the one key disruptor is cloud computing,” Raju said. He observed this is so, because BDA, artificial intelligence (AI) and the Internet of Things (IoT), as well as enterprise workloads, are all moving to the cloud, be it public or hybrid. “Much of the enterprise IT action will happen on public or hybrid clouds, including in Malaysia,” Raju, who was previously head of cloud and big data for Dell South Asia, said. IDC also forecasts that Malaysian companies will shift more critical applications to the cloud, and demand for cloud-based analytics will increase exponentially over the next few years. “Fusionex can leverage ABCD because we offer big data, business intelligence, business analytics and IoT solutions on cloud or in-premise, based on the customer’s preference or use-case,” Raju said. The latest reports by IDC also show that Malaysia’s business process outsourcing (BPO) market is growing at a 7.9-percent CAGR, and will reach USD1.4 billion by the end of 2021. Raju said that this growth will be led by customer care and high-end analytics solutions that Malaysian enterprises will want done in-house, or outsourced. 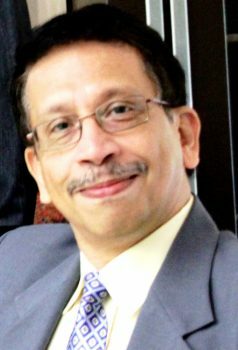 He added that the ideal for Malaysian companies is managed analytics, or managed services. In fact, this outsourcing trend is set to gain momentum going forward, and contribute to Malaysia’s BPO growth hugely over the next couple of years. The industry is not without its challenges. As with most other tech solution areas, technological advancements and upgrades far outpaces the industry’s awareness and skills readiness for it. A data domain scientist is someone who knows the domain (such as retail, hospitality, manufacturing, healthcare, etc), has the technical knowledge, as well as the solution architecting skills. In other words, a data domain scientist is someone with industry experience and a passion for data science. Besides churning out fresh grads with data analytics skills, there is a need to pull experienced professionals from their respective industries, towards reskilling themselves with data analytics skills. This is going to be one of the industry’s biggest challenges over the next decade at least. Malaysia provides abundant opportunities for ICT companies to move forward. It would be ideal if the Malaysian government encourages the adoption of big data and data technologies, by introducing policies that enable and empower local companies with opportunities, to provide the infrastructure and tools to push the industry forward. In fact, MDEC or the Malaysia Digital Economy Corporation, had recently begun the ASEAN Data Exchange (ADAX) initiative to enable the ecosystem to rapidly adopt data analytics as a tool to empower decision making and innovation in businesses. Part of the initiative is about readying access to funds, collaboration, as well as providing a centralised co-working location for big data analytics start-ups and accelerators to develop product and talent. But another challenge has emerged. As more data is being generated and leveraged by businesses, regulations have had to be created to protect users’ right to privacy. For example, the GDPR or General Data Protection Regulation, that is set to be enforced by mid-2018. GDPR compliance for Malaysian companies would kick in as long as they are handling data of any European Union (EU) citizen. Neuro-linguistic programming or NLP, is on the edge of BDA and AI. But, it doesn’t end there. According to Gartner, companies seeking to leverage AI should consider use-cases in deep learning, deep reinforcement learning, smart robots, smart workspace and more. Gartner has said technology will continue to become more human-centric to the point where it will introduce transparency between people, businesses and things. “This relationship will become much more entwined as the evolution of technology becomes more adaptive, contextual and fluid within the workplace, at home, and in interacting with businesses and other people,” Gartner notes. In all of this, Fusionex is ideally placed for the future. “We have invested time, money and people in developing a big data platform as well as domain-specific solutions that can be ported to AI, IoT and robotics,” Raju said. “We can do this quickly and efficiently to help customers derive ROI from their data. Fusionex is the fastest-growing big data analytics company in ASEAN. We have a team of data scientists, engineers, domain experts, and we offer DIY and managed solutions,” he concluded.